Written by Michael Haigh, Technical Marketing Engineer at Nutanix Previously we covered how easy it is for developers and administrators to deploy an application onto Nutanix Cloud Native due to its adherence to open API standards. 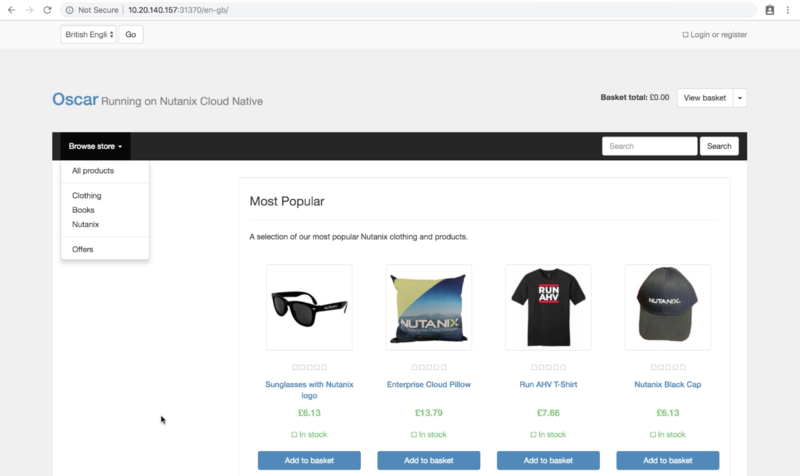 We deployed an Oscar e-commerce site, backing it with containers running on Nutanix Karbon, a PostgreSQL database cloned by Nutanix Era, and the static image content stored on Nutanix Buckets. Today, we’re going automate this entire deployment in Nutanix Calm. 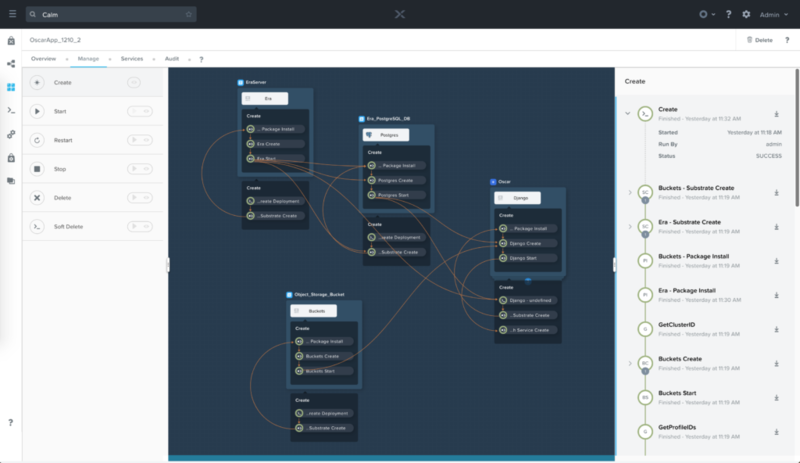 Calm models applications end-to-end using blueprints, allowing you to deploy those applications across clouds and automate their entire lifecycle from creation to deletion, including rolling updates during the application’s lifecycle. Blueprints can also be published to the Nutanix Markeplace – Calm’s built in self service portal – giving different users and groups direct access to resources without losing control over policy. If you’d like to learn more about Calm, please check out our datasheet here. To get started, download the Nutanix Cloud Native Oscar App blueprint, either with a CLI tool like wget, or by opening the link in your browser and saving the page as a JSON file. Navigate to Calm within your Prism Central instance, select the blueprint icon on the left, and click the “Upload Blueprint” button. In the file browser that pops up, navigate to and select the recently downloaded blueprint. You’ll then need to give the blueprint a name, and select your project of choice. Be sure to select a project that is tied to your Karbon Kubernetes cluster. era_creds: this is the credential you would use to log in to the UI of your Era server. buckets_creds: this is the Nutanix Buckets endpoint credential that allows read and write access to your bucket. 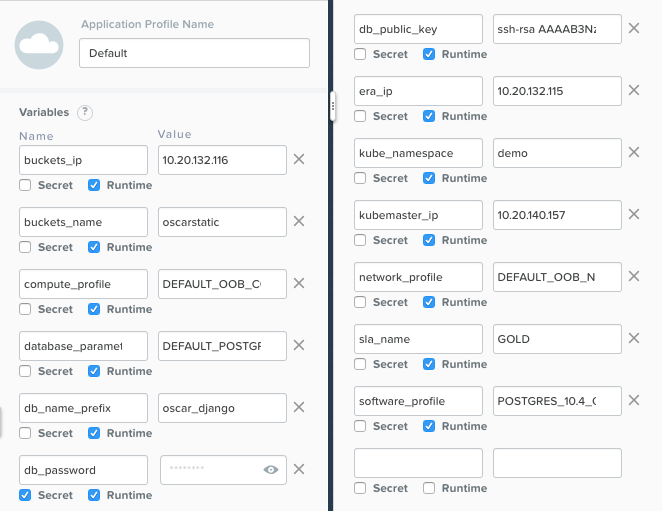 kube_creds: this is our Karbon Kubernetes cluster credential. 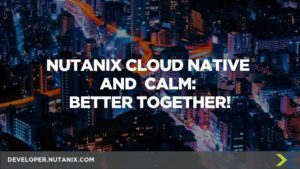 Kubernetes deployments in Nutanix Calm are currently Tech Preview, and limited to Deployments, Containers, and Services. In the previous blog post we saw the django-migration.yaml create a kubernetes Job, which seeds our new database with application data. To get around this Tech Preview Calm limitation, within the blueprint we’ll be calling the kubernetes API with these credentials to create the same Job. Once your credentials are filled in, click the “Back” button, and fill in the following Application Profile variables, which are along the right pane of your browser. If you’ve navigated around the blueprint on your own, and they’re no longer on the right pane, then scroll down to the “Application Profile” section of the left pane, and click on the “Default” app profile. Once you’ve completed filling out the credentials and the variables, save your blueprint. It is expected that you get yellow Warnings that start with “Macro used in value of key”, however you should not get any red Errors, or other Warnings. While still in the blueprint canvas, click the “Launch” button in the upper right. On the page that appears, name your application, and optionally change any of the runtime variables that were previously set. Click the “Create” button, and then on the Application page that you’re directed to, view the status of the deployment from the Audit tab. Take an IP from the first command, append the 3XXXX port number from the second command, and enter the combination in to a web browser. 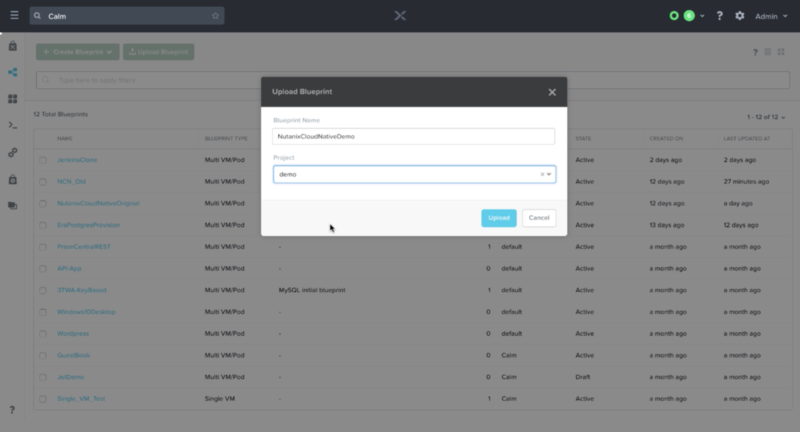 You should see the same, fully functional e-commerce website as last time, except now you can manage the entire lifecycle of the application from Nutanix Calm. Stay tuned for our next post in this series where we’ll be doing a deep dive into how the blueprint works!